Lipid membranes and lipid membrane fusion are indispensable for intracellular trafficking. It is well known that SNARE proteins play a crucial role in the fusion mechanism, see the Nobel Price for Medicine (2013), but the exact nature of the role of these proteins and possible cofactors in the fusion process remains a matter of thorough investigation. Recently, simple liposomes decorated with complementary short peptide fragments, capable of assembling into hetero-coils, were also found to fuse quite efficiently. Although this finding simplifies the search for key actors in this process, the limited experimental resolution does not allow for a clarification of the fusion mechanism itself. 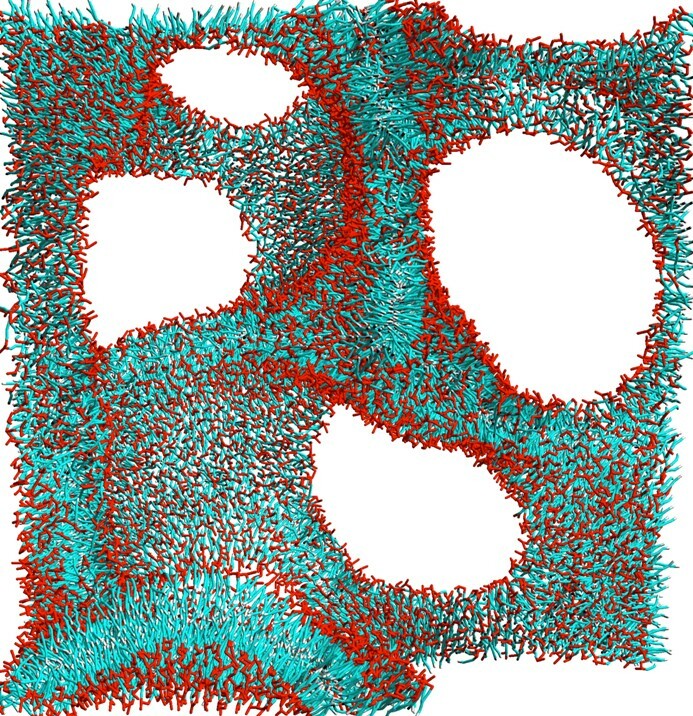 We present results of mesoscopic simulations, illustrating how computational approaches can be beneficial for understanding such important phenomena. « Can a bird fly from Preston to Newcastle ?